When Mirror’s Edge first released back in 2008 it didn’t sell super well. It also didn’t review super well. It also quickly became one of my favourite games and one that I’ve gone back to many times over the years. The first person platformer was just such a unique and polished thing that despite the obvious issues (bad story, incredibly short playtime, shooting…) it was one that I absolutely adored. Mirror’s Edge Catalyst reboots the story of that first game and builds upon the strengths of the original’s gameplay while trying to fix its other issues to…varying degrees of success. 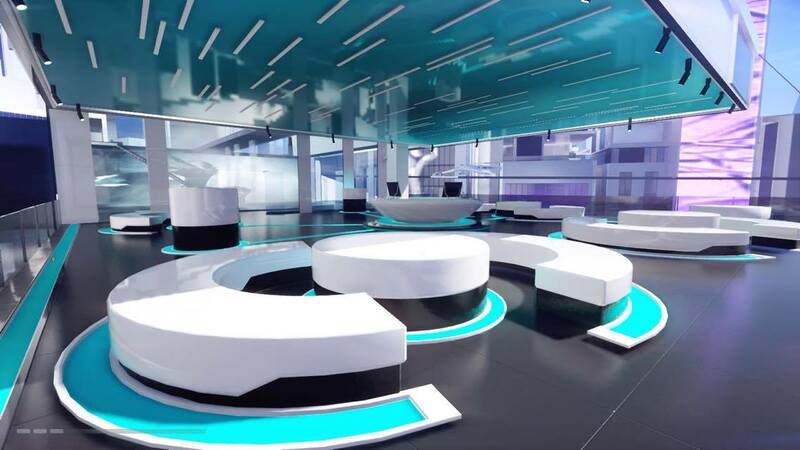 At it’s core, the first person platforming of Mirror’s Edge Catalyst is pretty fantastic. Once you get into a rhythm it’s really easy to chain together all the jumps and slides needed to get through areas.The level design uses easy to realise visual cues to let you figure out “Oh, I should slide under this” or “I can use this as a launchpad to get higher” and so all of the movement feels incredibly natural. 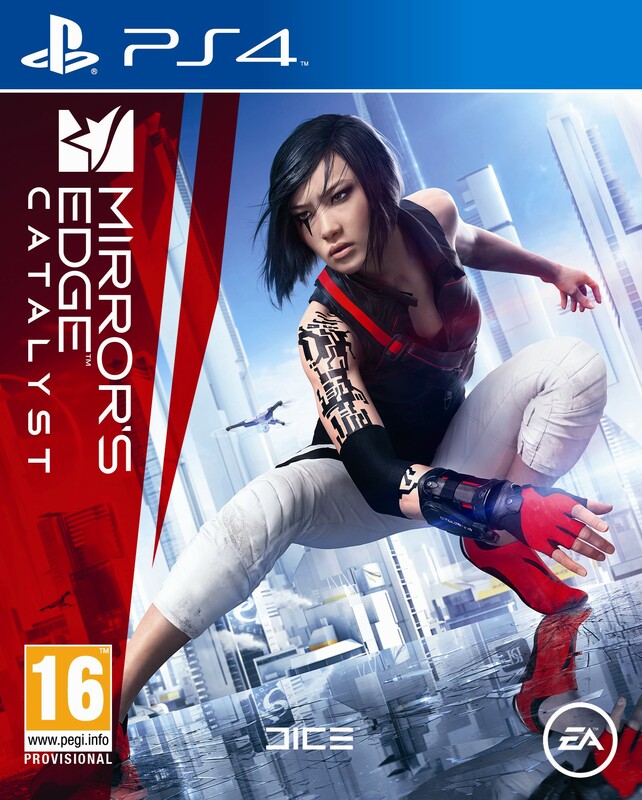 Which is an important thing because Mirror’s Edge Catalyst is a platformer through and through. The bulk of the game is built around navigating obstacles, climbing structures and finding ways to jump, wall run and slide your way through buildings, and there is a lot of city out there to explore. In a lot of ways the city is the main character of Mirror’s Edge. It’s beautiful. Each district looks subtly unique while fitting the overall aesthetic and feeling like a big cohesive playground. The graphics are always striking and attractive although there is a weird blurriness in the PS4 version (I only played the PS4 version for review, I would assume the PC version fixes this however.) But it is a playground. The city has all these great sights, all these brilliantly designed beautiful locations but it’s also almost completely empty. There are rooftops with couches on them and strange rooftop meeting locations and such but they’re all completely devoid of any kind of life. One of the later sections of the game is made up almost entirely of apartments that you can run through and explore but again, they are all completely empty. It makes sense from a gameplay standpoint – navigating around people would only make the platforming significantly more difficult – but from a game that builds such a brilliant world it sticks out as a strange exception to the perfection of the rest of the city. It also doesn’t help that there isn’t a lot of variety in the side activities you can do in the city. I personally had a lot of fun just running around exploring the city but in terms of things the game actually gives the player to do, they’re almost entirely variations of Time Trials. There are straight up time trials, there are delivery missions (which are time trials), there are Dash routes (which are time trials) and then there are some collectables. I never really got into the time trial aspect of Mirror’s Edge, there are leaderboards for everything which is cool but I just don’t find it interesting to redo the same section over and over to cut milliseconds off your time. The developers definitely banked on players being gripped by them though as there’s multiple systems built in to create your own checkpoint races and time trials for other players which is really cool in concept. The most interesting side activity for me was the Gridnodes, which are essentially towering platforming puzzles which can often be a bit more difficult than the platforming sections in the rest of the game and unlock fast travel points. Which I never actually used. Again, the core movement and the city design is fantastic and I never felt the need to teleport to fast travel points because I always wanted to run to my next destination. There were also some side missions but they pretty much all exist solely to introduce you to the time trial variations and let you talk to some of the pretty awful cast of characters. Maybe part of the reason the city feels like the main character in Catalyst is because the rest of the cast sure as hell don’t fit the role. The story is generally pretty weak, it’s a super simple dystopian story where big bad corporations are trying to do big bad things and the handful of people who don’t work for a corporation have got to save everyone else. You’ve seen it before, you’ve seen it better before and even if you haven’t it’s not going to blow you away. Faith returns as the main character and is the closest thing to a fleshed out character in the game. She starts out in prison, gets released, goes back to a life of crime instantly (but it’s good crime because evil corporations arrested her), and then proceeds to run around and steal things from corporations. It never goes anywhere interesting. There’s an attempt to add some degree of emotional depth with the introduction of Faith’s sister but they then proceed to barely interact with each other and develop no real interesting relation. In fact, that’s the main issue with most of the story. 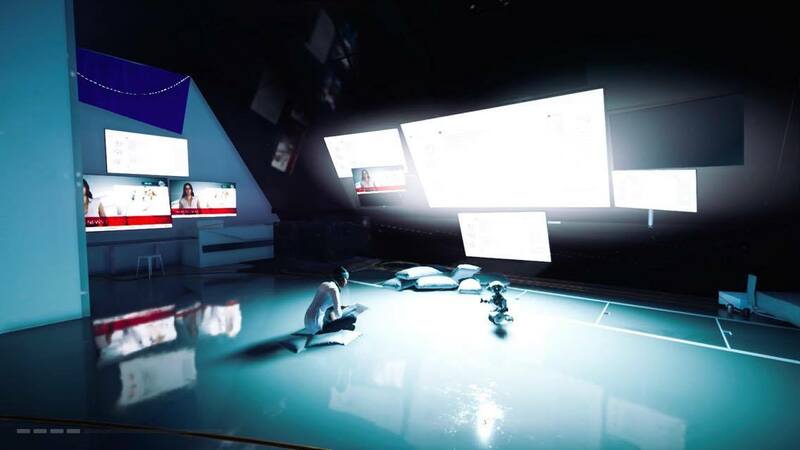 Mirror’s Edge Catalyst is filled with characters. Faith has a gang of buddies at all times and moves between different runner gangs of buddies and each character is introduced and then quickly sidelined. Icarus is around for the first mission and is introduced as a young upstart who is really competitive and could be a rival of some kind. Then he is sidelined for the rest of the game and that never goes anywhere. There’s some weird guy with pigeons who supposedly was the first runner and set up the weird parkour postal service which started the whole thing, but he is there for a couple of side missions and then again is completely sidelined. The side character who gets the most attention is actually Plastic, Faith’s hacker friend who has a handful of really terrible jokes and chimes in far too much in some of the later levels. It’s still a step up from the story of the first game but barely. The most annoying part of the story for me is that characters reference Faith doing something that caused trouble for everyone which got her put in jail in the first place. What was it she did? I don’t have any idea because it’s never mentioned in the game beyond a loading screen tooltip which straight up tells you to go read the comic tie-in if you want to know. It’s somewhat surprising that Faith was ever in jail at all though given her ability to wipe out entire groups of K-Sec grunts with her elite combat prowess. There’s a lot of combat in Mirror’s Edge Catalyst and it’s generally not very good. There’s some good ideas in there but they rarely seem to flow together as well as the platforming. There are basic light and heavy attacks with a simple dodge (which NEVER works) but this is not the way the game actually wants you to handle the combat. It’s just the first way that it introduces you to it and it’s one of the most boring and unambitious combat systems around when played that way. The real promise of the systems shine when you try to keep moving. When Faith is running at full speed she dodges bullets (no, there’s no story reason for this) completely neutralising any ranged opponents but if you stop to punch then that speed is instantly gone. Thankfully Faith now has an array of traversal attacks such as kicking an enemy from the air after launching from a platform, jumping down on top of an enemy, kicking out of a wall run and so on which do significantly higher amounts of damage and don’t reduce your speed. In theory it’s a great system and it shines at times, there are multiple times in the story where you are chased by K-Sec officers across rooftops and you don’t need to kill them, just escape and in these scenarios chaining attacks into your usual movement feels natural and works really well. Then the story throws you into multiple arena style areas and throws a ton of enemies at you and it all falls apart. These arenas tend to still have the necessary implements to use traversal abilities but as a result I ended up often just running in circles to gain some distance from whoever was chasing me then spinning around to wall kick them which was really boring. There’s a full upgrade system in there to increase the damage of attacks and such and it makes some of the later encounters a little easier but it all feels a bit tacked on. You get so many upgrade points thrown at you that almost everything is unlocked by the end of the game but almost all the upgrades are just “Attacks do a little more damage” or “You can take an extra hit” and never feel like anything meaningful. This is with the exception of two of the early upgrades to Faith’s movement abilities which involve adding a 180 turn and the ability to roll when landing to keep your speed up. Both of these feel like they should just have been part of the base movement controls and feel arbitrarily thrown into the upgrade system to try and give it the illusion of having some depth. In a lot of ways it’s pretty amazing to me that I’m even able to write a review about a new Mirror’s Edge game in 2016. I loved that first game and even at the time never expected it to ever get a sequel and in the end I really enjoyed my time with Mirror’s Edge Catalyst, but it’s also not really something I can easily recommend. The core platforming is among the best I’ve ever played but beyond that Mirror’s Edge Catalyst falls pretty flat. The story is barely there, the open world relies on collectables and time trials to try and justify itself and the already short story has some forced combat sections which only help highlight the flaws in the base mechanics. 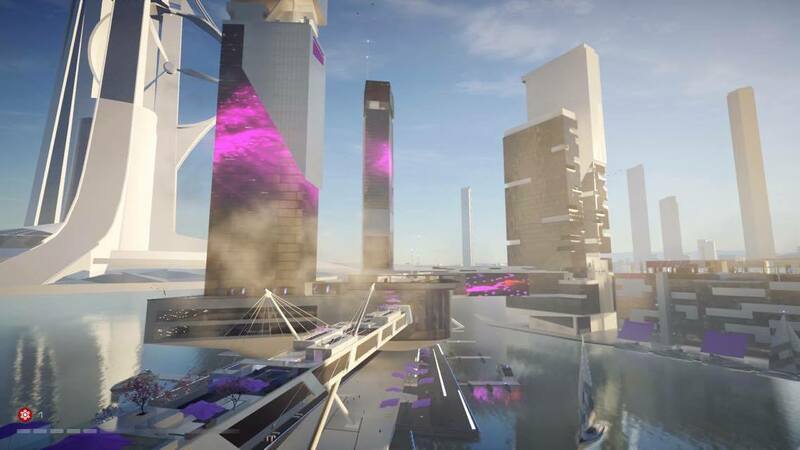 If you’re looking for an open world playground to jump around in Catalyst might be for you but don’t expect much in the way of interesting content.